Home » Joes Rebuilt » Mainframe is back online – and accessorized! Mainframe is back online – and accessorized! Mainframe fell to pieces a long time ago. As action figures go, Mainframe is pretty run of the mill. Introduced in 1986, he’s hampered by a pretty dull design. His grey outfit is a bit uninspired, and he doesn’t come with any weapons. He was essentially a phone operator. This particular action figure did, however, prove to be unique in my collection. First, he was a challenge to rebuild. 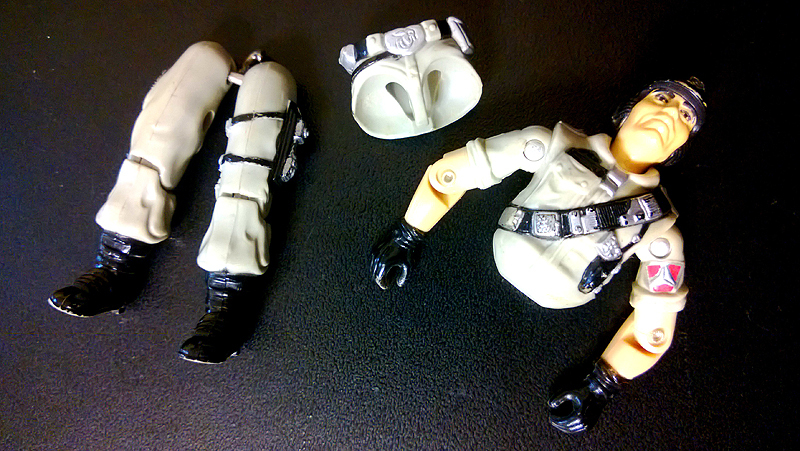 The spacing under his waist actually proved to be fairly small. As a result, getting the leg hook through with the rubberband was difficult. I was concerned the plastic would break, and it did appear to have some stress coloring. Thankfully, however, things worked out. 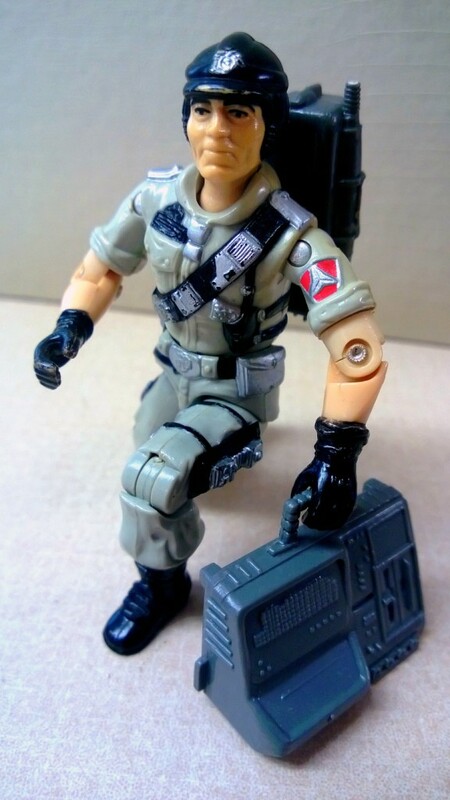 Mainframe is also the first of my reassembled Joes to have nearly all of his accessories. Not only did I have his backpack, but I also had his hand-held console. Sadly the rubber tube and phone were gone (you can see what I mean here). Mainframe straps on his communication gear for the first time in nearly 20 years.